Beautiful sustainable furniture can do more than just provide adornment or function – made well, it’s an important step towards protecting the planet. Sustainable furniture production considers every step in the manufacturing process to try and minimise the impact it has on the environment, including recycling or using renewable materials. Open your inspiration files – we’ve got some gorgeous ideas from designers around the globe who are creating sustainable pieces that qualify as functional art. 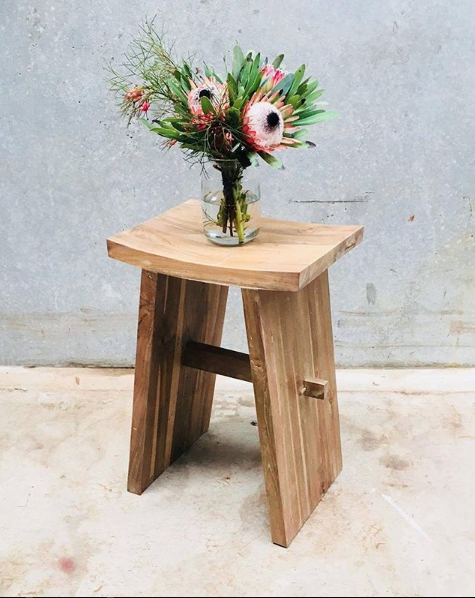 Sebastian Loader is the man behind Sustainable Living Furniture, which has a vision to fashion cutting edge, sustainable furniture that is also affordable. The pieces are innovative and fresh, made for people who love life and the planet. 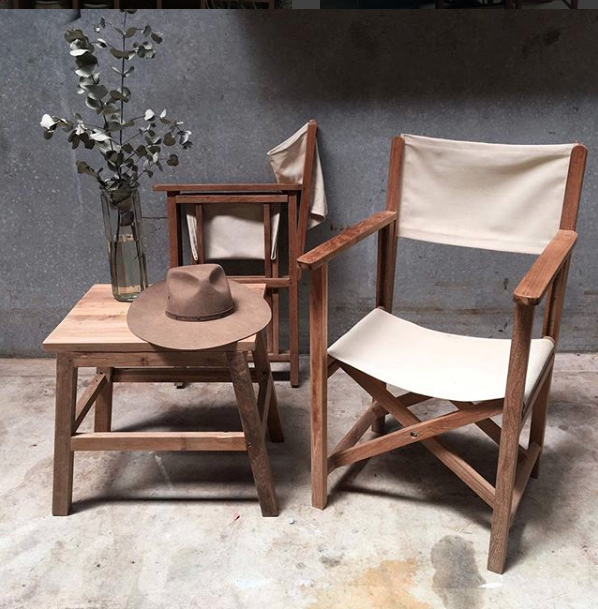 Based in O’Connor, Western Australia, Loader’s designs also have a distinctly Australian flavour and are a perfect fit for our outdoor, relaxed lifestyles. A case in point is this Director’s Chair made from reclaimed teak. Canadian company Living Wood Design create modern bespoke furniture with a focus on sustainability. Founded by husband and wife design team Andy Gamper and Anna Smith, the duo’s innovative designs are created using local salvaged and reclaimed Ontario hardwoods, which are then kiln-dried and given a natural finish. Each piece is handcrafted to become a standalone work of functional art. 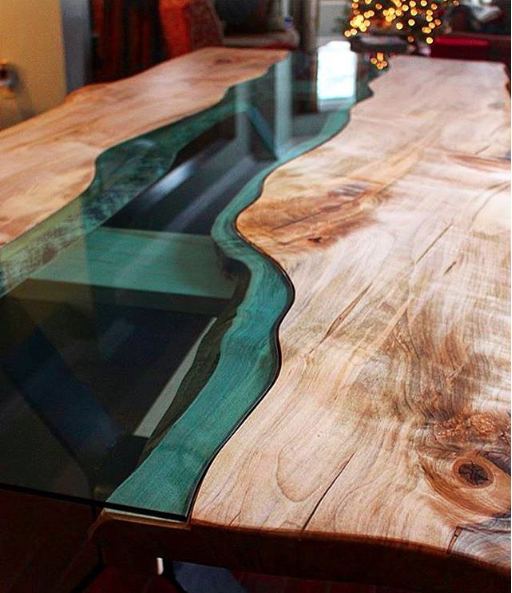 We love this silver maple river table with hand-cut blue glass. 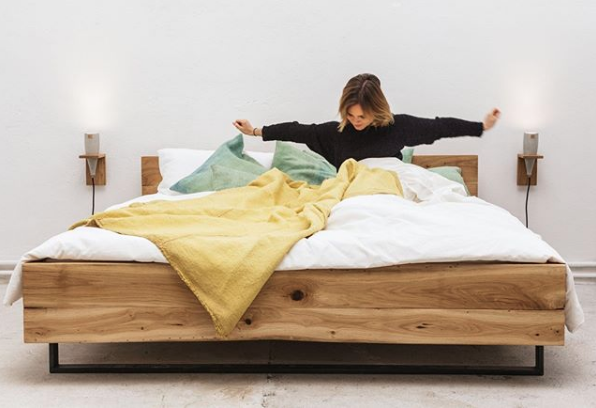 Woodboom are a hip young collective out of Berlin, who make original sustainable furniture and collaborate on interiors throughout the city. The brand’s aesthetic has a reduced, authentic look & feel. There’s a focus on beautifully handcrafted wood but they also work with metal and concrete. Their handcrafted beds bring a raw, bohemian feel to urban spaces. James Treble is an award-winning interior designer, TV presenter and writer with decades of experience in the building and design industry. 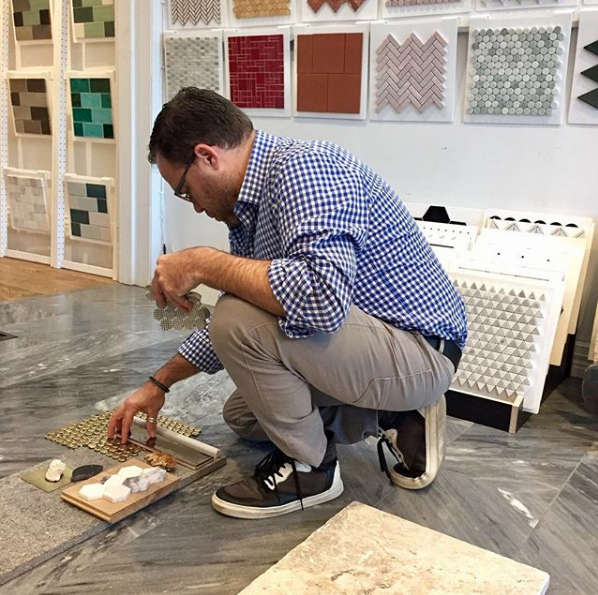 James travels the globe sourcing design inspiration. The designer has a deep interest in sustainability in design, including recycling, upcycling, reducing waste and repurposing otherwise disused items. He is also a brand ambassador for Planet Ark, a NFP which seeks to improve the environment through everyday positive actions. Sometimes Instagram inspiration just isn’t enough. You can catch James Treble in the flesh at the 2018 Decor + Design show in Melbourne, where he’ll be taking part in the AH&G International Seminar Series. James will be giving ‘Practical Tips for Everyday Australian Luxury’. Learn how to create a cohesive aesthetic, without breaking the bank. Register now for Decor + Design, Australia’s No.1 Interiors Event!